April | 2018 | You Are Not the Only One Ministries and Consulting Services Inc.
Am I fulfilling His good purpose? 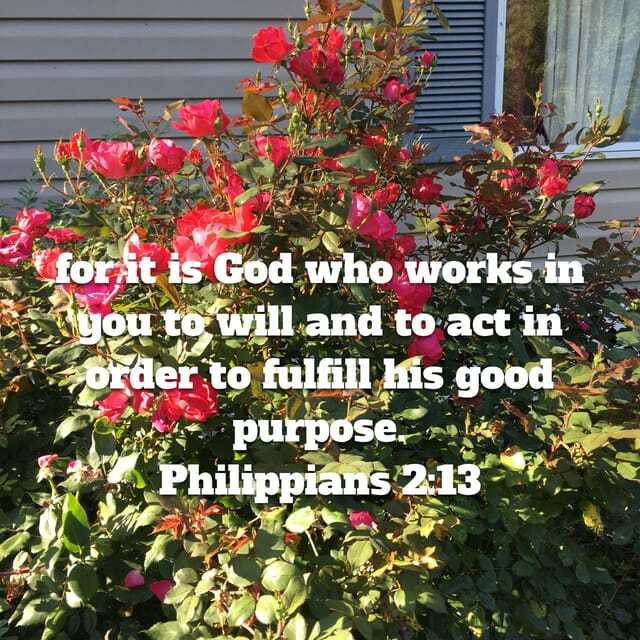 30 Apr 2018 Comments Off on Am I fulfilling His good purpose? #LoveLikeJesus #GrowCloserToGod so I can love like Jesus. Looking for opportunities to serve and finding the time to complete that service always classes in my human mind. For example, the need for assistance is greater than my capacity to provide assistance. So, I started to pray for a vehicle that would be large enough for me to be able to help more people get what they need. I am already exhausted so what makes me think that I should do more, or be more available for others? The need is great and Jesus never turned a person away no matter how hopeless their situation might have appeared to be. I am reminded of the sermon on the mount (Matthew 5). How can I be light so that I am doing God’ “good pleasure?” In what way does my presence in a specific place change that environment? When faced with darkness do I avoid it or walk into it to be light? When hatred rears its ugly head to I attack it or love through it? When given the choice of just turning my back when social injustice is evident do I present an argument against it or sit in silence and do nothing? If I do not sit in silence and I do actually speak, type, post, are my words biting, put-downs, demonstrative of anger or am I sharing information that may shed light on the situation that led to the social injustice. When I speak do I speak in love, to carry out His good purpose, or do I speak to be glorified? When I read this Scripture this morning I had to think back to my words, my posts, my life, and what I am doing with it to ensure that it is lining up with God’s “good purpose.” Loving like Jesus means I have to love the person who is hateful to me. It means that I cannot walk with the majority when opinion matter. I must walk with Scripture even if it means that I may pay a hefty price in the long run for that choice. Do my actions and my words lead others to desire a relationship with my Father? Do they lead others to want to worship Him? If they do then I am carrying out His purpose. If they don’t then I need to repent and pray for guidance and wisdom from above. I want my life to be a life that worships HIm through my actions!